As Babyology closes in on one million Facebook followers, we want to take this time to get to know our readers and their families a little better. And what better way than by asking you to show us a photo of your little ones and having the opportunity to win an incredible toy pack from Fisher-Price in the process? For 30 of our readers with children aged six months to two years, that’s exactly what we’re doing! Thanks to our partners at Fisher-Price, we have 30 prize packs valued at $115 each, for you to enjoy with your little ones. These families will also have the chance to watch their little one feature in our “Day in the Life…” video later in the year, which will be broadcast across all channels (it will be a great one to bring out on their 21st birthday!). Watch as your child masters the art of walking, talking and cooking up a storm with this prize pack, which emphasises stimulative social, cognitive, imaginative and physical play. Each prize pack includes the Fisher-Price Learn with Me Zebra Walker ($44.95), the Fisher-Price Laugh & Learn Mix ’n Learn Blender ($34.95) and the Fisher-Price Laugh & Learn Smart Stages BBQ ($34.95). Our 30 families who are selected for these initial trial prize packs will also go into the draw to win an ultimate prize pack from Fisher-Price, valued at more than $500 and including some of Fisher-Price’s most iconic toys. Encourage pretend play with the Fisher-Price Little People Big Animal Zoo, the Fisher-Price Chatter Telephone, the Fisher-Price Laugh & Learn Smart Stages Toolbox and the Fisher-Price Laugh & Learn Smart Stages Laptop. 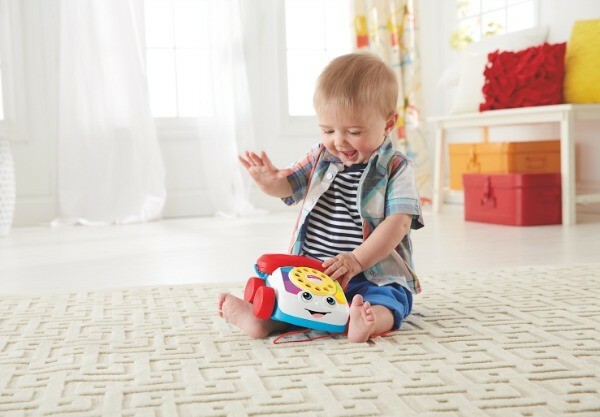 Stimulate social development with the Fisher-Price Laugh & Learn Smart Stages Puppy, the Fisher-Price Laugh & Learn Puppy’s Piano and the Fisher-Price Laugh & Learn Puppy’s Smart Stages Driver. 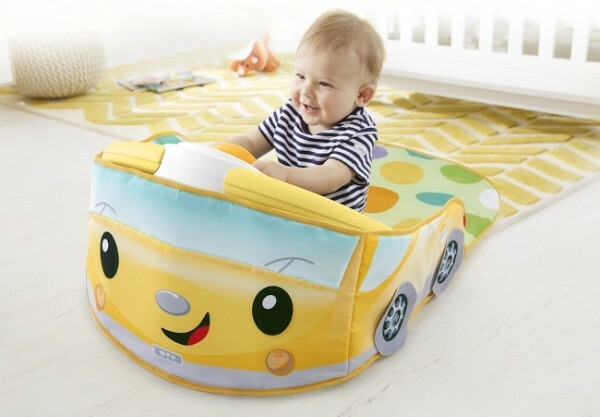 Build confidence in your little one and encourage physical growth with the Fisher-Price 3-in-1 Convertible Car Gym and the Fisher-Price 3-in-1 Bounce, Stride and Ride Elephant. Even if you are not selected as one of our initial 30 participants, you can still have the chance to win a special prize pack. Stay tuned to find out more about this surprise sampling package. 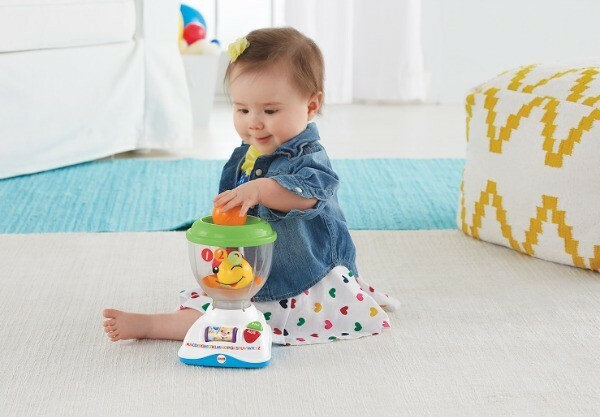 There is nothing better than listening to your child laugh while learning – it’s one of the greatest moments in parenthood and with Fisher-Price, you can cherish these moments as your little one laughs, learns and grows. We can’t wait to meet the families behind our following. So, to all our readers, thank you for your support and for sharing this journey of parenthood with us. For your chance to secure one of these prize packs, all you need to do is fill out the form below, answering the question and submitting a photo of you and your child (or children!). 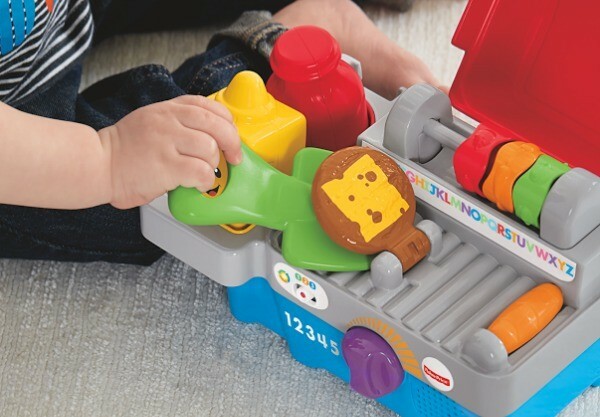 We’re looking for the most creative photos and responses to try our our initial Fisher-Price prize packs. If selected, you will need to fill out a five minute survey reviewing the Fisher-Price Learn with Me Zebra Walker and upload a video to YouTube of your child enjoying this innovative product (check out our Terms and Conditions for information on how to do this). Australian residents only.